[4 mins. 18 secs.] Filmwax Radio Live: Montclair Film Festival Edition. Panelists include Executive Director of the festival, Tom Hall, plus filmmakers Morgan Neville with his film "The Best of Friends", Jessica Edwards with her film "Mavis", and Chad Gracia & Fedor Alexandrovich with their film "The Russian Woodpecker. These films will all screen at the 2015 Montclair Film Festival. Additionally, the proceedings begin with funny man Scott Rogowsky. 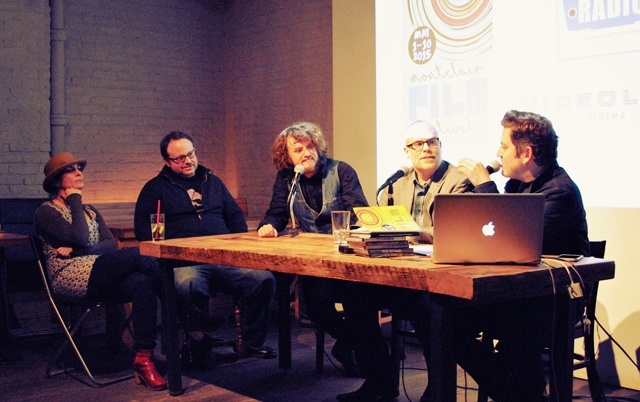 The event took place at Videology in Williamsburg, Brooklyn.